When I was 11 my grandfather gave me a big box of chocolates for Valentine’s Day. It was in a heart shaped red box and it was all mine!! My brother had his own. My grandparents lived in Louisiana and Texas so it wasn’t a regular occurrence to receive such a gift. I spread eating the chocolate out over days and days. Savoring which one I was going to eat next and cherishing the caramels. They were my favorites. One day when I opened the box I thought it looked like several pieces were missing. I picked out my piece and the corner was bit off. WHAT!! I started picking up all my pieces and they all had the corner bit off. Each with distinct teeth marks that could only come from my brother who had crooked teeth plagued by most preteens. I screamed!!! This offense was saved for when my dad got home. 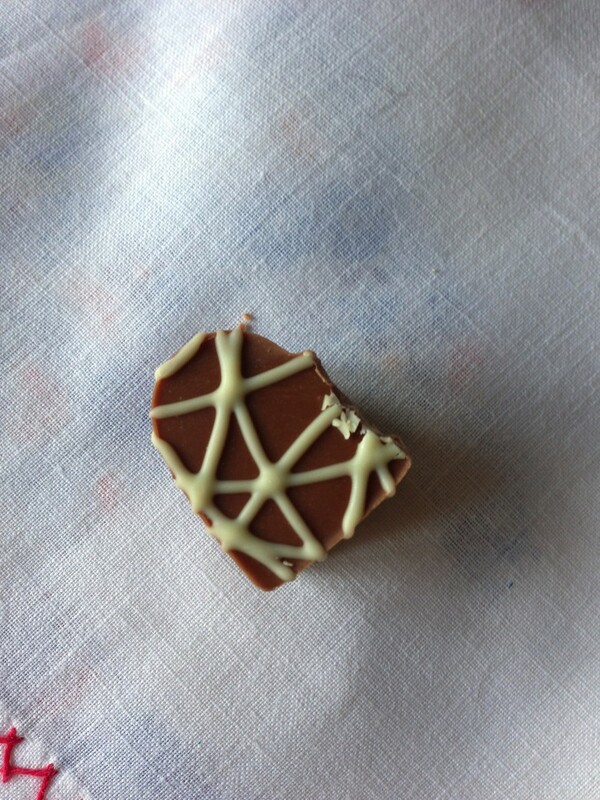 I still remember my dad asking Dan why did he just bite the corners out of each piece of chocolate and Dan said he was looking for the caramel pieces and he only ate those! Dan was required to buy me another box of chocolates with his own money, which our dog Puddin promptly ate the next day. I think they are born this way. I bought Chad (our 16-year-old son) this lovely box of Ghiradelli heart shaped chocolates for Valentines. He loves chocolate. He read about each flavor and we even googled cacao nibs before he picked out which one he would try first. He savored it! So happy to have a box of yummy chocolates. Last night he came home from work to find a piece of his chocolate of his dad’s dinner plate. He was not happy!! This morning he told Kevin, you can have some of my chocolate. I will share. When Kevin left the room he told me he had taken a bite out of all the pieces. Yes! He had taken a bite out of his own chocolate to keep his dad from eating it!!! I told you they must be born this way!! EAT ALL YOUR CHOCOLATE THE FIRST DAY YOU GET IT. 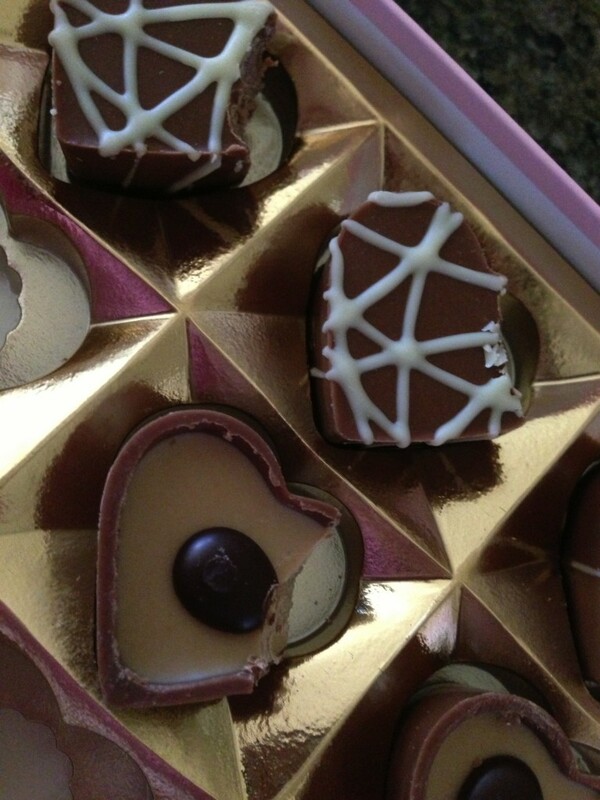 This entry was posted in Uncategorized and tagged boys, chocolate, Ghiradelli, Valentines by Katey. Bookmark the permalink. Is that the brother that only eat the ears off your chocolate bunnies? What a family!! i laughed out loud!! sooo funny!! like Crusty said, what a family!! !